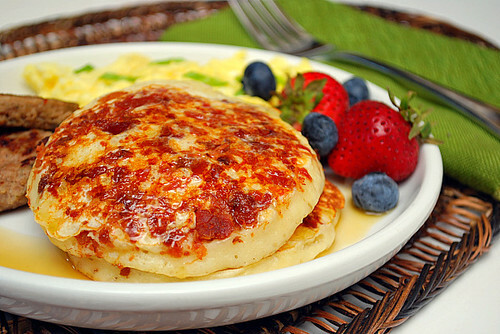 Bacon makes everything better and these pancakes are studded with it! You can make these in advance and keep in your freezer. To heat up, just pop in the microwave for a few second until warm. On the go? Make a breakfast sandwich using them by packing eggs and cheese in between 2 pancakes! 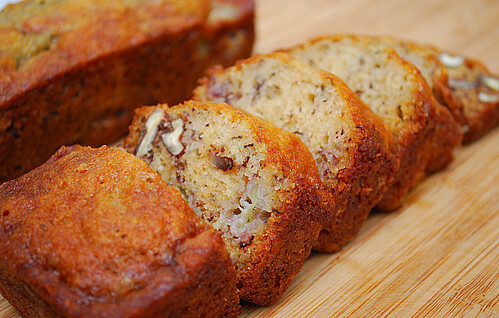 I love banana bread because it gives me a reason to use overripe bananas... which I tend to have more often than I really would want. This recipe comes from one of my favorite food magazines and is pretty good either as a baked loaf, mini loaves or even muffins. These also freeze well and to enjoy from frozen, just let it thaw on the counter to room temperature. 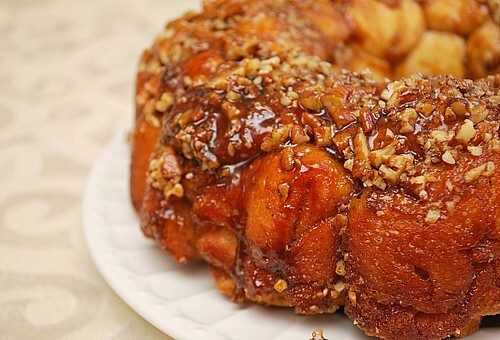 Cinnamon rolls are popular for the holiday mornings. 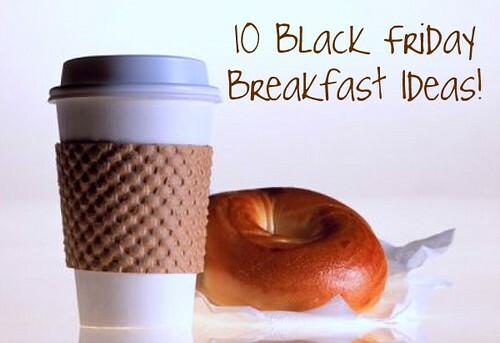 They're something you can make in advance, making it a great time saver. But what happens when you have leftovers? Sometimes they don't keep very well or tend to dry out. The solution? 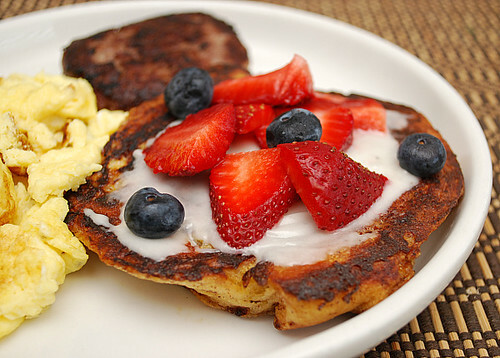 Smash the rolls down and prepare them as you would french toast. A quick dip in egg before pan frying is all you need and instead of maple syrup, spread a little frosting on top of them and dig in! You can't go wrong with muffins, since they're the breakfast version of cupcakes. Blueberry is a popular flavor and this streusel topped recipe is nothing short of delicious. Make these in advance, individually wrap each muffin in plastic wrap and freeze. As you're getting ready, grab a muffin from the freezer and let it come to room temperature. Once you're out the door, you've got a sweet treat to enjoy on the way. Danish pastries look so pretty in the bakery window but you can make them at home easier than you think! Prepare these in advance and keep in your fridge until ready to bake. 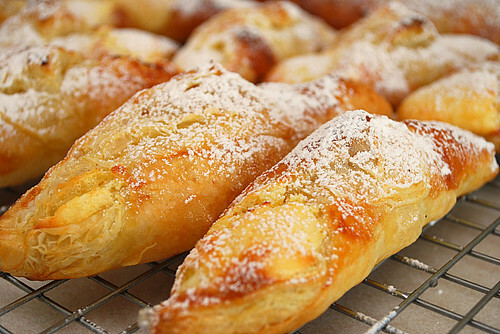 After 20 minutes in the oven, you've got yourself a warm, sweet cheese pastry. Those fancy, 'gourmet' breakfast sausages can be pricey but did you know you can make them yourself at home for a fraction of the cost? Try these chicken and apple breakfast patties which you can prepare in advance and freeze. They're versatile too in that you can form them into meatballs, crumble in other dishes or just make patties to enjoy for breakfast! Quiche is a great idea for using leftovers. This bacon, brie and artichoke quiche is just a suggestion but you can certainly substitute it with other meats, cheeses and vegetables you have on hand. There's no need to make one big quiche... make smaller ones instead by baking up in either a muffin pan or even a mini muffin pan! 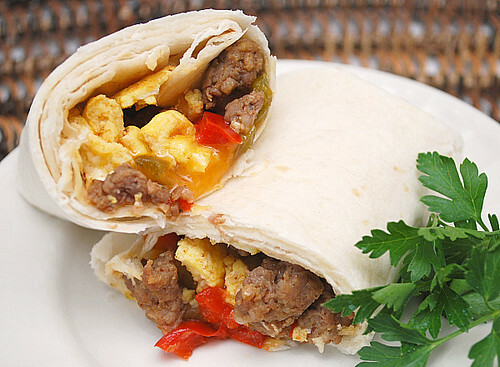 Great for breakfast or even as an appetizer, you can't go wrong with this one! Yum! 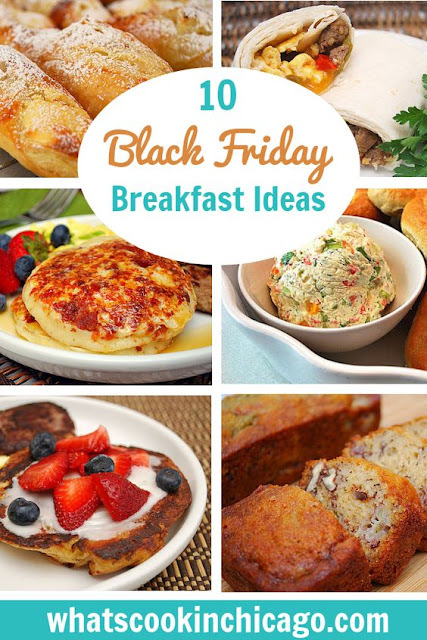 I love all your breakfast ideas, but I might not wait till breakfast or Black Friday! I will be like you, in my jammis, comfortably at home, probably shopping on line this year!